Broadway’s Music Ministry seeks to enhance our congregation’s worship experience through music that has a high degree of reverence for God. The choirs sing anthems which support the sermon message with music ranging from classical sacred music to traditional hymn arrangements, and from gospel songs to spirituals. Each age division of the Music Ministry seeks to call out the best spiritual, personal, and musical resources from its participants. Though there is an unapologetic pursuit of offering our very best to God in worship, a high priority is given to the nurture and encouragement of Christian growth and service. Therefore, the Music Ministry at Broadway seeks to give everyone an opportunity to glorify God in worship, serve God through the community, and be on mission in the name of Christ. To view a selection of our Sunday morning worship services, click here. By its very name, this choir is the largest choir we have at Broadway! Every Sunday, we are accompanied by the awe-inspiring Aeolian-Skinner pipe organ. Its combination of glorious sound and majestic power beckons all of us to lift our voices in praise of our Creator as a corporate act of worship. At Broadway Baptist Church, we robustly sing about our faith and we hope it inspires us to live out our faith along our spiritual pilgrimage. Therefore, how we go about it matters greatly! When we consciously select hymns that are rich with the stories of our faith, we are building up the body of Christ in a thoughtful, proactive manner. This choir serves as our service choir each Sunday. The primary goal is to lead others in worship through offering the best of their time, talents and preparations for the worship of God. This choir sings a variety of church music literature and presents one or two major works a year accompanied by volunteer or professional instrumentalists. In addition, they seek to be a loving and encouraging community of faith. This is not an auditioned choir. All are welcome to participate. Broadway’s Youth Choir includes singers in the 6th - 12th grade. The objective of this choir is to encourage the youth to develop and share their talents with each other and our church. We will focus on how to serve God through the gift of music. As a result, this choir will seek to sing once a month in worship. In addition, this choir will participate in the Jubilate Festival Singers retreat in January 2019 and a summer tour in June 2019. Broadway's Children's choirs are formed annually beginning with school terms and based on the level of interest among the various age groups. During the course of the year, choristers involved in children's choirs will learn about the gift of music and how it is offered in the worship of God at Broadway. In addition, they will discover how to apply it to their every day lives. The object of these groups is to help the children develop music listening skills through singing, rhythmic activities and simple steady beat games and songs. The goal of this choir is to teach children basic musicianship skills and help them discover that music is a way to express their thanks and praise to God. Broadway has a 5 octave set of Schulmerich Handbells. 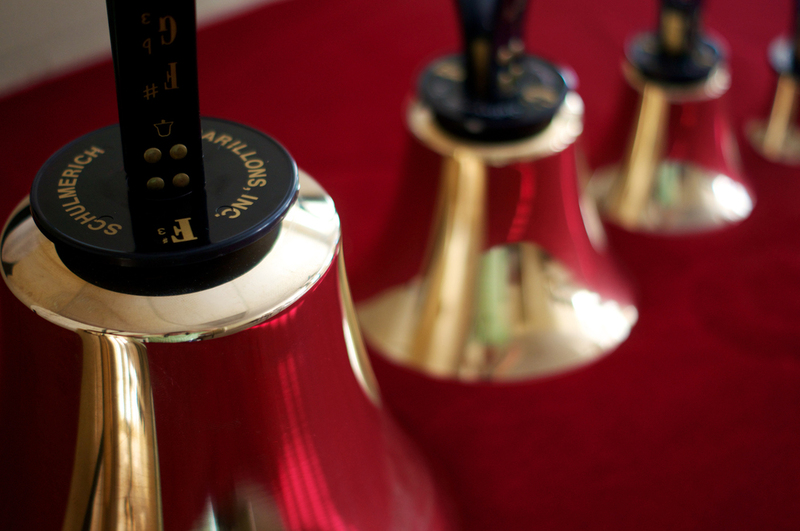 The bell choir meets on Wednesdays at 6:10 p.m. This instrumental ensemble meets weekly from September thru May to improve their playing skills and prepare music for worship. Each person who commits to participate in these ensembles must understand this is a serious commitment of time. The goal of these ensembles is to participate in worship whenever they are prepared to offer their musical gifts to God. This year our Annual Creative Arts Camp will take place on August 5- 8 from 9 a.m. to 1 p.m. for elementary students (rising 2nd to rising 6th grader). There will be two large group choral sessions and the students will have two choices for their small group times which will include: art, culinary art, photography, percussion, and others. Click here to view all music staff.